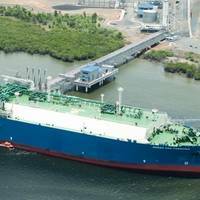 BG Group plc today announces it has started up and loaded its first LNG from the second production train at the Queensland Curtis LNG (QCLNG) facility in Australia. 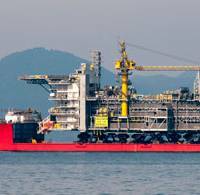 The first LNG from Train 2 set sail on the Maran Gas Posidonia. At plateau production, expected mid-2016, both trains at QCLNG will be producing enough LNG to load ten vessels per month combined, exporting around eight million tonnes per year. Since production from the first train commenced in December 2014, 27 cargoes have been shipped. 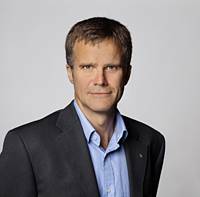 BG Group plc informed today that Helge Lund will join the Company as Chief Executive and an Executive Director with effect from February 9, 2015. This is ahead of the previously announced start date of March 2, 2015. Lund’s start date has been brought forward following agreement last week from his former employer to release him from his contractual commitments. Andrew Gould, who has been serving as interim Executive Chairman of BG Group since April 2014, will return to his role as Non-Executive Chairman with effect from February 9, 2015. Statoil’s board of directors has appointed Eldar Sætre as the company’s new president and CEO. Sætre, who has 35 years’ experience from Statoil and the oil and gas industry, has been acting as president and CEO since October, and assumes the role with immediate effect. "Eldar Sætre was our first choice. The industry and company are facing demanding challenges. Eldar stands out with his long experience and ability to create change. Those are qualities we need in times like these. 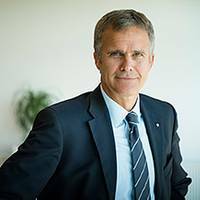 Statoil President and CEO Helge Lund has informed the company's board of directors that he will resign. 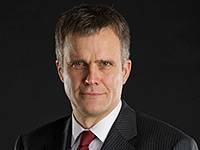 Helge Lund has chosen to leave Statoil to take up the position as CEO of another international oil and gas company. The board of directors has appointed Eldar Sætre as acting president and CEO of Statoil with immediate effect. According to a Reuters report, Statoil's long-serving chief executive will take on the top role at smaller rival BG, where he has been promised a big pay rise if he can turn round the flagging British gas and oil producer. Statoil's (OSE:STL, NYSE:STO) first quarter 2014 net operating income was NOK 51.4 billion, a 35% increase compared to the first quarter of 2013. Adjusted earnings were up 9% to NOK 46.0 billion. “We are pleased to present strong financial results for the quarter. Higher prices and good results from our US gas value chain contributed to a 9% increase in adjusted earnings, compared to same quarter last year. Our operational performance is solid, providing the foundation for around 2% rebased organic production growth in 2014," says Helge Lund, Statoil's president and CEO. Statoil presented on its website the company’s annual and sustainability reports for 2013, along with the US Form 20-F report. “Our 2013 operational performance was good; with safety improvements, production as expected and strong project execution. We delivered leading exploration results and strengthened our reserve base,” states CEO Helge Lund in his introduction to the annual and sustainability reports. Statoil recorded in 2013 the best exploration results in the industry measured in conventional volumes. Statoil will be present today for the first day of the Storting's open hearing regarding the state's handling of the carbon projects at Mongstad. The objective of the hearing is to review the recommendations and problems described in the report of the Office of the Auditor General of Norway on last autumns' investigation into the way the Norwegian state has dealt with the question of carbon capture and storage (CCS). The hearing will take place in the Storting's Standing Committee on Scrutiny and Constitutional Affairs. Statoil's third quarter 2013 net operating income was NOK 39.3 billion. Adjusted earnings were NOK 40.4 billion. 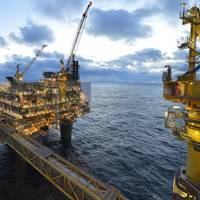 "Statoil delivered strong strategic progress in the third quarter. We added high-value barrels through the Bay du Nord discovery offshore Canada, the world's largest oil discovery this year. We also announced a major divestment to capture value created through asset development and unlock capital for investment in high return projects. Our operational performance is good and we delivered solid earnings in the period," said Helge Lund, Statoil's president and CEO. Statoil's net operating income of NOK 39.3 billion in the third quarter was positively impacted by gain from sale of assets. 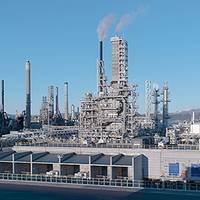 Refinery impairments and commercial provisions impacted the financial result negatively. 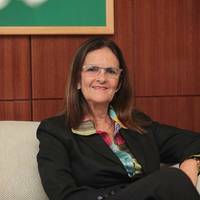 Petrobras CEO, Maria das Graças Silva Foster – named one of the world’s 100 most influential people by Time magazine in 2012 – will be a keynote speaker for the New Frontiers roundtable at Nor-Shipping’s Agenda Offshore conference on June 5. Foster will be joined by top executives from two other world-leading oil and gas companies. 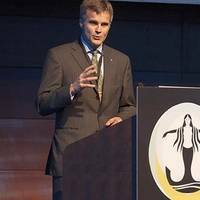 Statoil CEO Helge Lund and Royal Dutch Shell Upstream International Director Andy Brown will speak at the event, the second time Nor-Shipping hosts a conference connecting the offshore industry and the maritime industry. Algerian authorities carried out a military operation today against the hostage takers at the In Amenas plant. 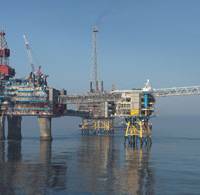 Statoil confirmed yesterday that five of its 17 employees were safe. Today an additional three Algerian employees are also confirmed to be safe. Five of the 17 Statoil employees involved in the hostage situation at the In Amenas gas facility have been safe since yesterday. They are now on their way to Norway. In addition, Statoil and BP have decided to bring non-critical personnel from our two other plants in Algeria – In Salah and Hassi Mouina – out of the area and home again. 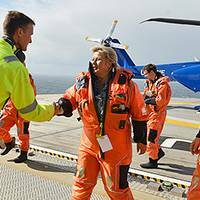 At least three planes will likely be utilised for this purpose, and it is believed that around 40 Statoil employees will be onboard the first three planes. Statoil ASA (OSE: STL, NYSE: STO): Statoil and Wintershall have entered into a 10-year gas sales agreement for the delivery of a total of 45 billion cubic meters (bcm) to the German and other North-West European markets. 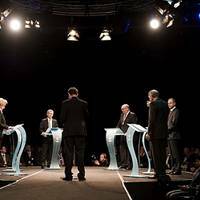 "This strategic agreement demonstrates the continued competitiveness of Norwegian natural gas in the German energy mix. "The agreement with Statoil, a long-term and reliable energy partner with Germany for decades, is a significant milestone for Wintershall. For us this means that we can also use the volumes we produce from the North Sea in Europe in the future without having to expand our own infrastructure," says Wintershall's CEO Rainer Seele. Germany consumes about 80 bcm natural gas per year and is the second largest gas market in Europe.